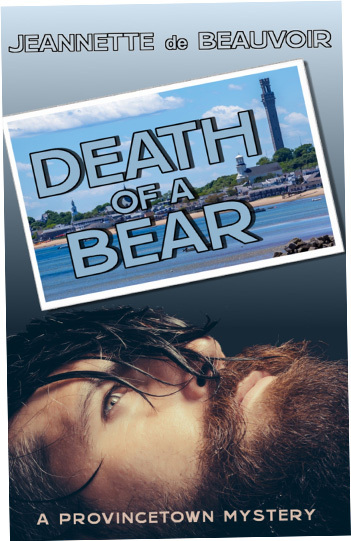 Homeport Press is pleased to announce the publication of author Jeannette de Beauvoir’s Death of a Bear: A Provincetown Mystery, the first in a series of “cozy mysteries with a twist” set during Provincetown’s famous theme weeks. Death of a Bear comes out June 6th, just in time to celebrate Bear Week in early July. Murder at Fantasia Fair will follow in October. We plan to release three of Jeannette’s novels a year in a series that will include events such as Carnival, Women’s Week, New England Leather Weekend, the Portuguese Festival, and even the Provincetown International Film Festival.